Manchester United celebrate Henrikh Mkhitaryan's goal against Anderlecht. CREDIT: AFP. There were times in my career when the games would stack up at the end of the season, when every match seemed to have so much riding on it, when the pressure was relentless, and it was then that you discovered who had the mentality to keep on going. It is much the same now for Manchester United, who will have arrived back from Brussels in the early hours of Thursday morning already thinking about how they recover in the two days they have to prepare for the visit of Chelsea on Sunday. I have been there many times before as a player, with a league title to win at home and a European campaign to take care of mid-week and while the stakes are lower for United this season in terms of trophies, the pressure is still there. There is no question that the run of games facing United is punishing. The second leg against Anderlecht comes on Thursday and then they go to Turf Moor next Sunday for another difficult league game against Burnley. Only then can they turn their attention to the Manchester derby four days later and when you look at it as a whole then the programme can seem overwhelming. Sir Alex Ferguson was a meticulous planner when it came to navigating a run of tough fixtures. He would build the picture up slowly. What kind of team could he expect to beat Anderlecht on Thursday? Who could he afford to rest for that match? Who could he not do without against Chelsea? Over the years there would be a core of players in each team who would play virtually every game – the likes of Cristiano Ronaldo, Wayne Rooney, Nemanja Vidic, Patrice Evra – but there were also plenty of us whom he rested. 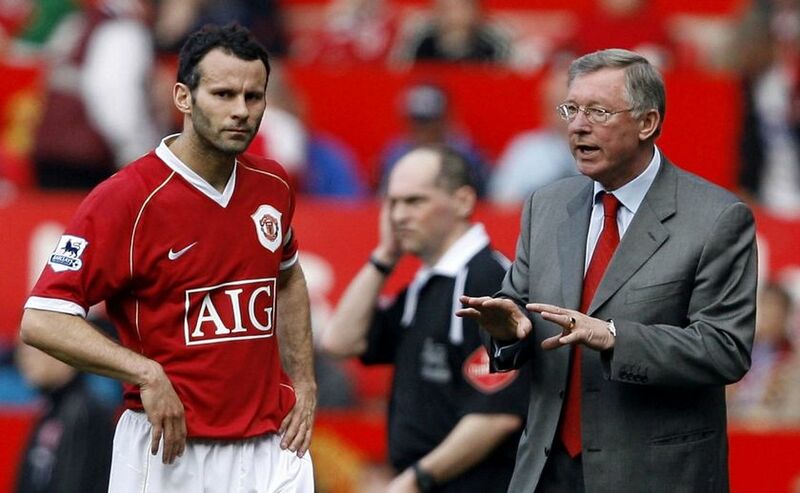 Sir Alex Ferguson managed Ryan Giggs' workload carefully. CREDIT: AFP. I remember, Sir Alex telling me once that he had a game in mind for me, and explaining what it was he wanted in that match. As I listened I started thinking through our fixture list. “But that game’s in two weeks’ time,” I said. He was not concerned with that. It was his job to think a long way ahead. It is no different for this United team. They can be overwhelmed by the number of games coming up, by the injuries in defence that leave Marcos Rojo and Eric Bailly as the only two fit centre-halves, or they can use the momentum of a good result to get them going. We always felt that if we won the big games then the mood in the stadium changed. Beat Chelsea and Old Trafford will be bouncing when Anderlecht arrive on Thursday. There is very little scope at this time for the players to train. The only sessions have to be short and sharp. Individuals have to be responsible for making sure they are rested and ready. That means plenty of sleep, taking their ice baths, getting their treatment, drinking their protein shakes. This is when you demonstrate to your manager your professionalism and push through to get the job done. You can rest in the summer but the last few weeks of the season is when the hard work is done. I was always inclined as a player, and then as a coach, to try to see these times in my career as a positive challenge. To get the win that gives the confidence to the team to go into the next game. To win the big games against the other top teams. To bear in mind that what you achieve in these few weeks will be something you have for the rest of your life, and another trophy is something that can never be taken away. A good season for United would be a trophy and a place in the Champions League next season. They already have one trophy and they are favourites for the Europa League which would give them the Champions League place. Then next season the priority is winning the league. It will be four seasons without the title come May which is longer than any other period without it since the first of the Sir Alex era in 1993. There are other clubs who have waited much longer, but United operate according to different rules. I believe that the squad is decent enough to get that Champions League place, be it through the league or the Europa League. They are well covered in positions like full-back and midfield and as Jose Mourinho gets to know these individuals better and recognise those he can trust then you will see a better team next season. He knows how to get a team through those difficult away games, and United have a run of those against Manchester City, Arsenal and Tottenham. Chelsea have shown the power of momentum in the league although next year they will be back balancing the demands of mid-week Champions League football too. You can only see that as a positive if you want to be a top footballer at a big club – the fixtures can be punishing but it is up to you to find a way through and deal with those demands. It is a key part of what makes a successful team. Watching the reports of the Borussia Dortmund pipe bomb attack, it feels like a long time since those days when players were so readily accessible to fans. When I started as a professional, we would come out of Manchester United’s old training ground at the Cliff in Salford and there would be supporters waiting for us in the car park to get autographs. By the end of my career the security measures had changed immeasurably, especially when we were on pre-season tour. In 2009 the club cancelled a visit to Jakarta because there was a bomb attack there a few days before we were due to arrive. Even now when I go to watch United with my mates there are car checks going into Old Trafford. I suppose people will say what happened in Dortmund will be a wake-up call, but security around football has been a major operation for years already.